Dr. Chavez received his undergraduate degree from the University of Texas in 2000 and his Doctorate of Optometry from the University of Houston College of Optometry in 2006. He has extensive training in treating eye diseases, prescribing eyewear, fitting contact lenses, and co-managing surgeries, including cataract surgery and LASIK. 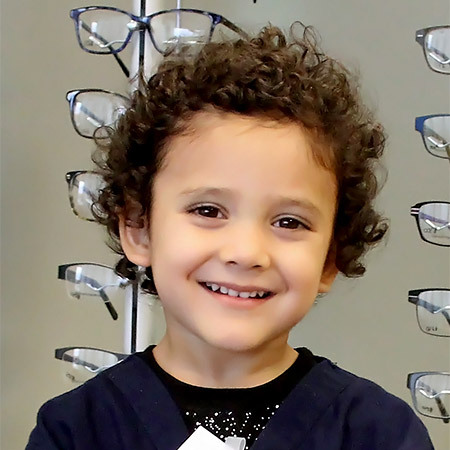 He is an active member of the American Optometric Association, the Texas Optometric Association, and the Central Texas Optometric Association. A native Texan, Dr. Chavez was originally born and raised in El Paso but fell in love with Austin at first sight. After a few years away, Dr. Chavez returned to the community to establish his practice. He enjoys spending time with his wife Alisa, their daughter Logan, and sons Austin and Jackson. Together, the five attempt to solve crimes in their Mystery Van, mostly at old amusement parks or spooky houses. While relaxing at home, Dr. Chavez enjoys dueling with plastic lightsabers, being a customer at his daughter’s manicure store, and is an expert at not stepping on random Legos on the floor. Dr. Chavez would like you to meet his staff, whom he trusts so much that he’s nearly positive they would help him move a body. 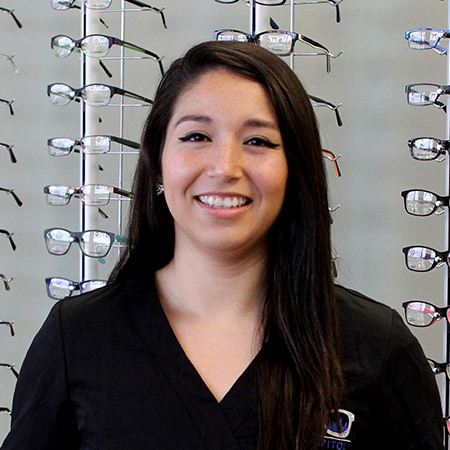 Dr. Melendez is a graduate of Texas A&M University and the University of Houston College of Optometry. 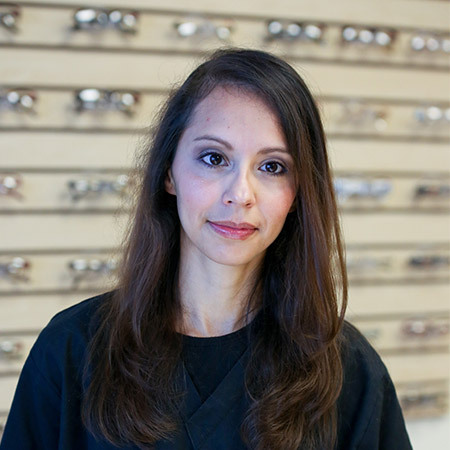 She is an active member of the American Optometric Association, the Texas Optometric Association, and the Central Texas Optometric Society. 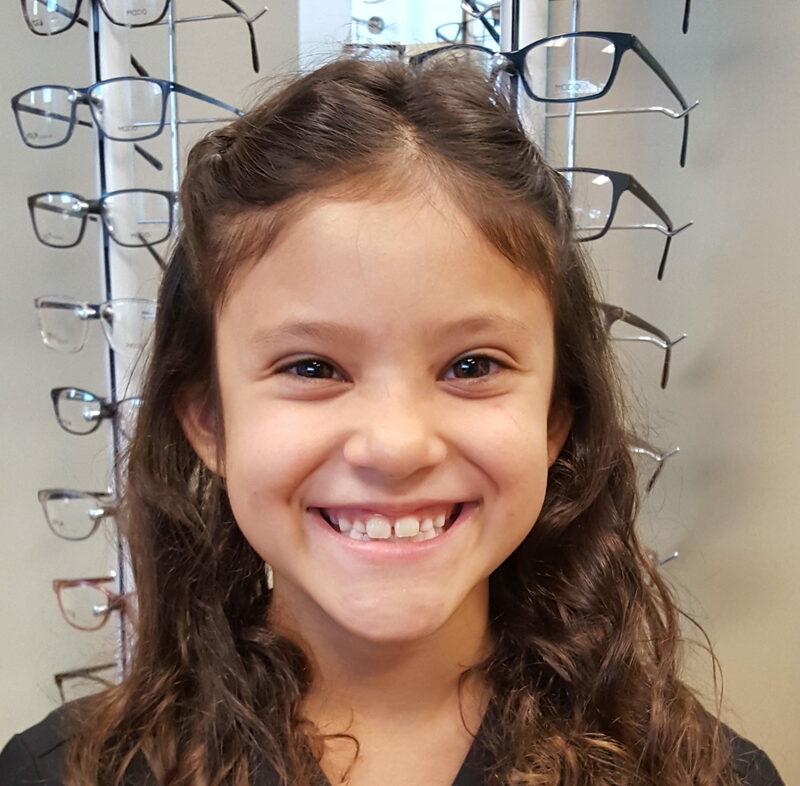 She enjoys the diagnosis and treatment of eye diseases, but has a special place in her heart for dry eye disease and glaucoma. Dr. Melendez hails from Edinburg, Texas and is fluent in Spanish and whatever language they speak on CBS’s Big Brother. She is an National Park enthusiast and would perform eye exams in nature preserves it if were up to her. Dr. Melendez proudly claims to know all things Selena(s) and can quote the movie by heart. Fun fact: Dr. Melendez was selected to “Come on down!” on the Price is Right (seriously!) and made it all the way to the Showcase Showdown. Unfortunately, her game show estimating skills are not as good as her clinical skills. Rosy originally hails from Zacatecas, Mexico and moved to Austin at the age of 13 to escape the boy band Menudo. 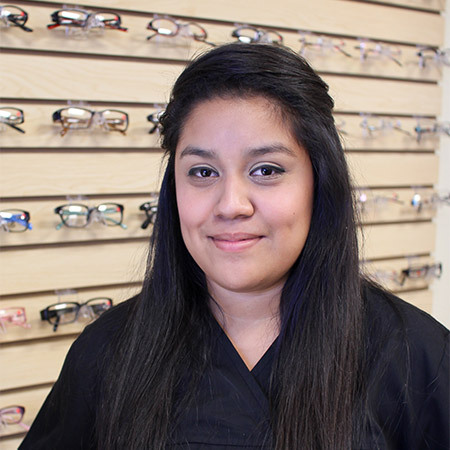 She recently received her degree in Business Administration and is using her experience as Eye Capitol’s office manager. Fun Fact: Rosy is a new mother and spends most staff meetings reviewing her daughter’s developmental milestones. In her free time, Rosy enjoys gazing lovingly at her baby for hours. Rosie would eventually like to learn Italian or French, because speaking perfect Spanish apparently isn’t good enough. Norma comes to us from El Salvador and has lived in Austin since 2002. 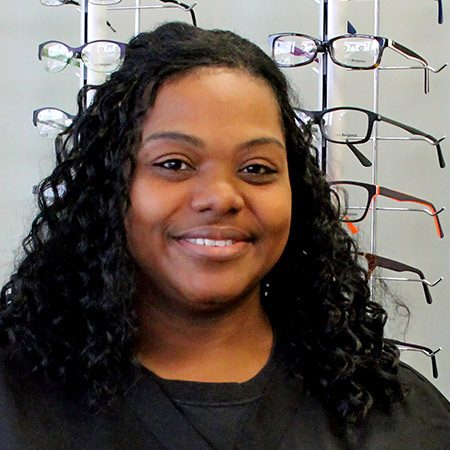 She is a Certified Nursing Assistant, but shines brighter as an Optometric Technician. One of Norma’s biggest assets is introducing pupusas (a Salvadoran comfort food) to the Eye Capitol lunch room. At home, Norma enjoys playing with her two small bears, although she insists they’re just large dogs. Fun Fact: In the future, Norma sees herself learning archery and rock climbing, although hopefully not at the same time. Jax arrived from a distance and foreign land called “California” as she answered the siren song of Austin’s live music (and breakfast tacos). She is Eye Capitol’s “Jax”-of-all-trades and her fervent work ethic will make you swear you saw two of her. At home, Jax can be found pouring her paycheck into her furry, four-legged soul mate, Shalimar. If you have after-hours questions for Jax, you’ll likely track her down standing in line at Valentina’s BBQ, craft beer in hand. Fun Fact: Jax is versed in Brazilian jiu-jitsu, which comes in handy when preparing patients for ocular scans. 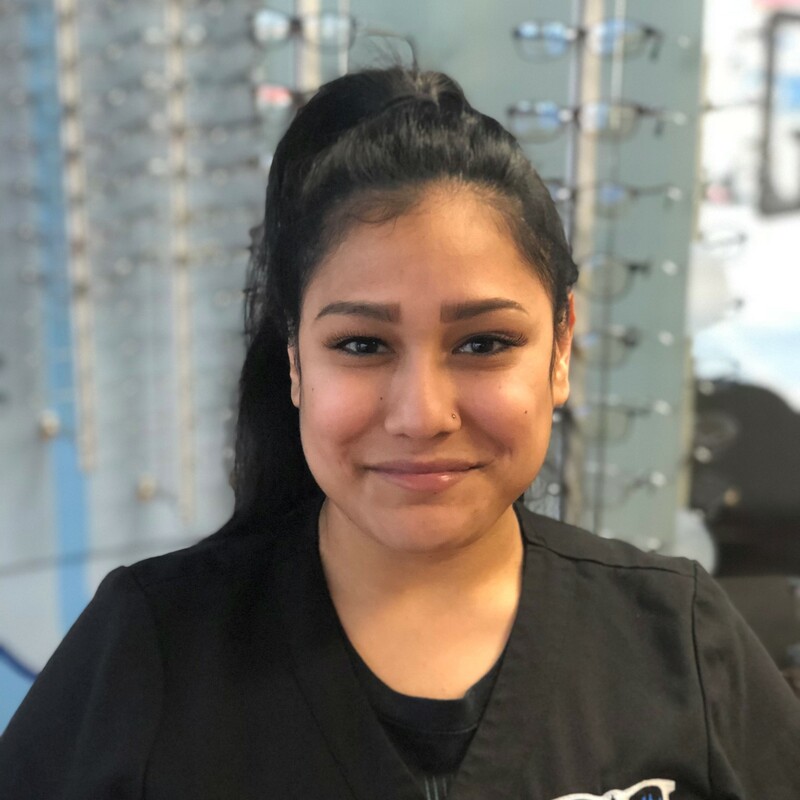 Byanka is our multitalented optometric technician as well as our in-office expert in explaining awkward teen lingo and fads. Originally from Austin, Byanka enjoys indulging in Austin’s live music scene and dancing so hard that she feels it the next day. Fun fact: Byanka is a former Mariachi singer. Legend has it that as the weekend grows near, her emancipation song can be heard by patients as far away as the waiting room. Ever wonder who figures out your copays and insurance benefits? Do you really? Anyway, it’s April. April does it. Originally from Waco, April is the personification of smooth jazz and her calm personality has been known to literally extinguish small fires. When not balancing the chaos of work and five youngins at home, April’s hobbies include enjoying the smooth sounds of silence. Fun fact: April enjoys Mexican food, pasta, and movies, but surprisingly has never been to the Alamo Drafthouse to indulge in all these vices at the same time. 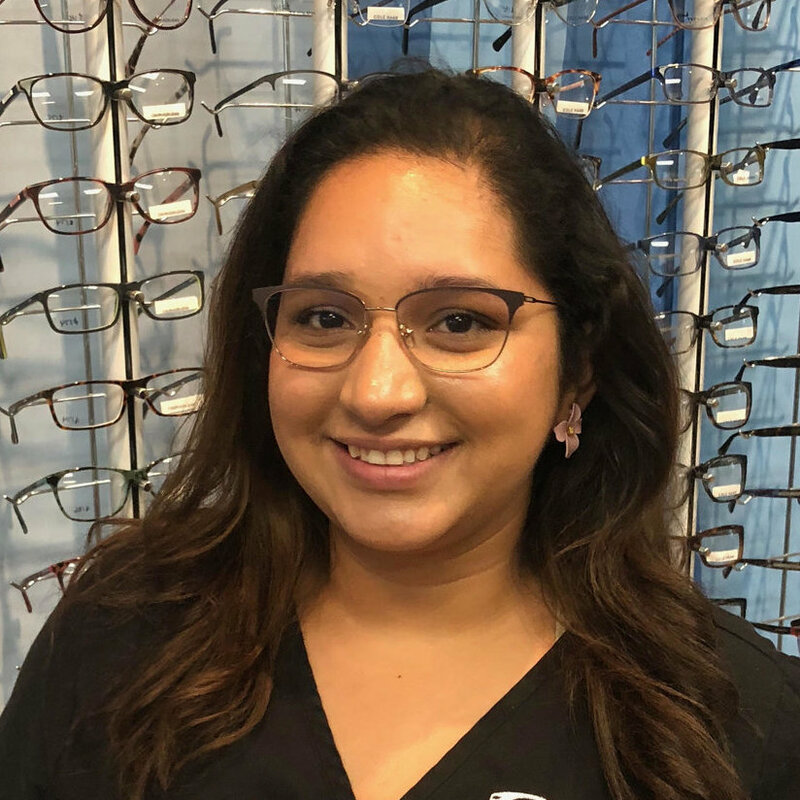 Our optometric technician Rubi (spelled with an “eye”) was born in Michoacan, Mexico and her quest for the perfect breakfast taco landed her in Austin in 1996. On her free time, Rubi enjoys cooking, Pinterest crafting, and teaching her cat Louie new tricks. She is hoping to one day train Louie to cook for her. Fun fact: Rubi enjoys the concept of swimming, but can’t actually swim. She requests that you don’t panic if you see her wading in one spot for hours. 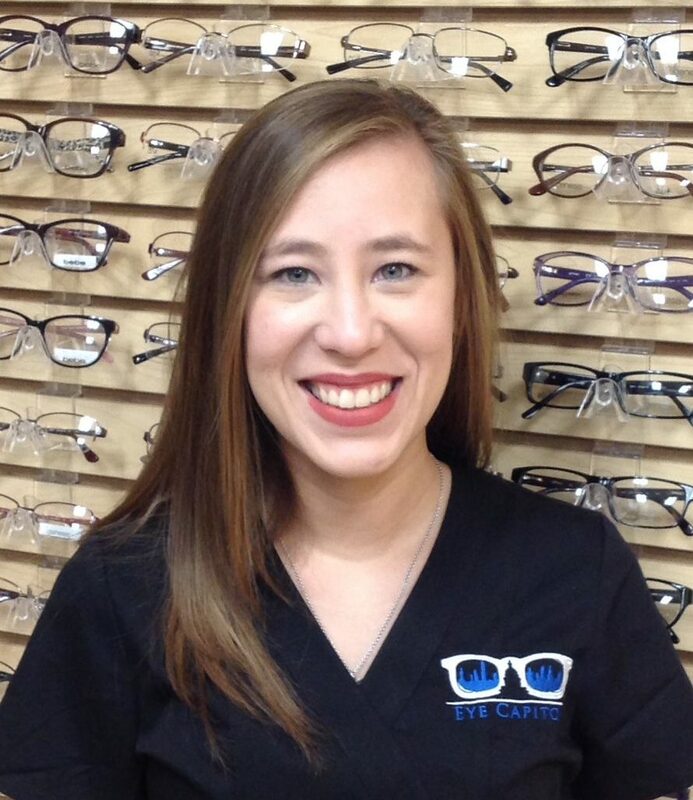 Vanessa is Eye Capitol’s superhero patient coordinator. Mild-mannered with a glasses disguise, she schedules appointments faster than a speeding bullet. When she returns to her fortress of solitude, Vanessa enjoys spending time with her 3 children and going on crafting binges. Fun fact: Vanessa is a former bank teller and can count bills faster than you can ask “Why are you counting copy paper like that?”. Alisa is the Eye Capitol business and domestic support team (aka Dr. Chavez’s wife). 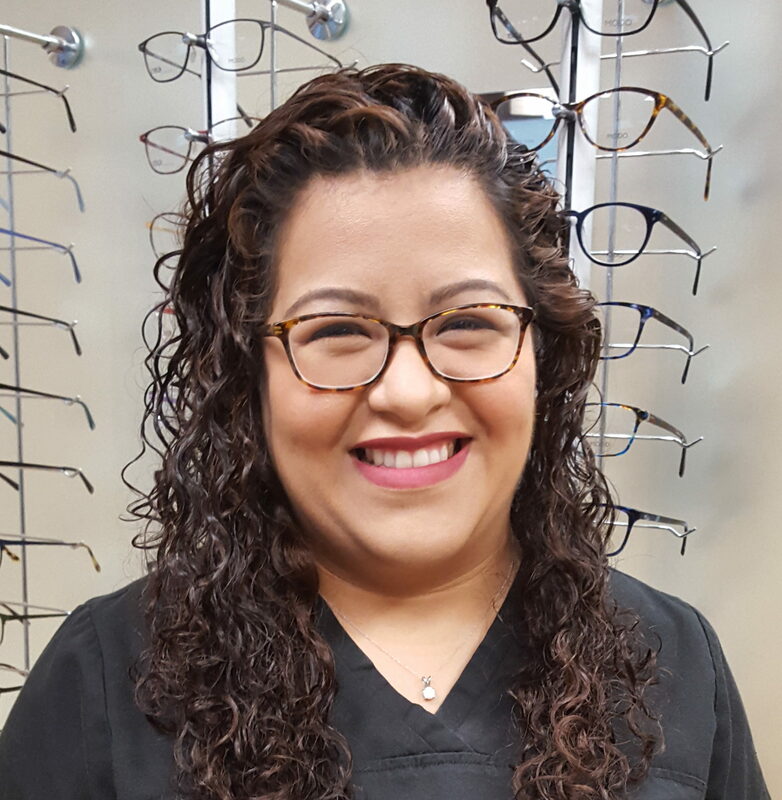 When not taking care of 3 children, Alisa can randomly be spotted scheduling appointments, straightening out the office, or complementing patients on their eyewear selections. Alisa can rarely been found without a coffee in her hand and likes to use her caffeinated energy on crafts and jewelry making. On the rare occasion of free time, Alisa enjoys date nights, photography, and sampling local craft brews. Austin is a 5th grader by day and superhero by night. He has 10 years of experience in interrupting his dad’s eye exams to ask random questions that have no particular point. At the end of the day, Austin enjoys climbing trees, busting a Fortnite dance move, and hitting things with sticks. He wants to be a policeman or an eye doctor when he grows up. 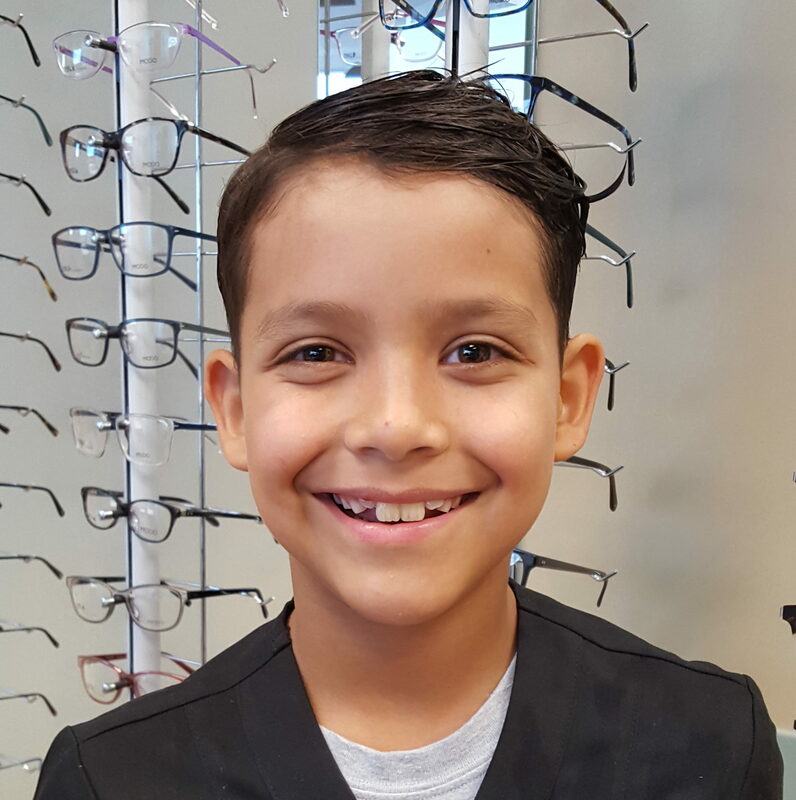 Logan is a 3rd grader and part time Eye Capitol receptionist. She’s been know to occasionally answer the Eye Capitol phone lines and “transfer the call” (aka hang up). Logan enjoys recreating Disney movie scenes with her princess dolls and pretending her Dachshunds are actual babies. She wants to be the pink Power Ranger or a dentist when she grows up. Jackson is Eye Capitol’s newest addition and is in charge of maintaining office morale with his cuteness. When not discovering the nooks and crannies of Eye Capitol, Jackson likes breaking office equipment and throwing frames on the floor. Fun fact: Jackson’s curls serve to convert sunlight into pure running energy.